If you are thinking of scanning your negatives over your photo prints, you are making a wise choice. Scanning a negative will result in a much better digital image because a negative still has all the photographic detail that is partially lost when a print is made. This is critical if you would like to later make enlargements or do any image restoration. If you want to scan your negatives you have two main options. You can buy a negative scanner, which is usually just a photo scanner with adapters for negatives, or you can buy a negative converter, which is more like a small camera. The first route is the best option for getting the most quality and detail out of your negative but the second route is quicker and easier. There is also a third option if you have the time and money and that is to use a negative scanning service. This is where professional companies come in. Scanning companies provide consistently high quality digital conversions and they do professional cleaning too. However, if you are in a rush, it may not be a good option. Additionally, they may use standard treatments for dust removal which may not be suitable to your slide. So let’s focus on the DIY options available. Slide Scanner vs Negative Scanner – Is there a difference? The naming of scanners that can scan film products can be a bit confusing. But basically a film scanner, a slide scanner, and a negative scanner are all the same thing. There are many film and slide scanners and converters in the market today. Some can take a variety of formats including 35 mm, standard 8 mm, Super 8, 110, 126, and 127 as well as slides. These can be easily scanned and converted into digital formats at a touch of a button. Any flatbed scanner that will scan film will also scan slides and negatives. Usually these scanners are marketed as “photo scanners” but they sport high resolution scanning and adapters (and sometimes software) that are specifically designed for scanning film products. There are also negative converters. These are exactly scanners but function like a scanner. They are small devices that make a picture of your film and are able to provide an electronic image. The quality of an image produced from a converter vs a scanner is much lower but converters have other advantages. They are generally small devices that can process negatives quickly. They also have more lower priced options. If you have a bunch of negatives to scan and are still looking to buy something to convert your negatives to a digital format, you will first need to choose between a negative scanner and a negative converter. A scanner will produce high quality images but with a fair amount of time and effort. A negative converter will produce lower quality digital images but faster. Either way you decide to go there are still a few general tips that will help you in to convert negatives to digital images. If your negatives are nicely organized in sleeves then you are a step ahead. But if your negatives are clumped together in envelopes take some time to organize them before scanning. Make sure you identify any damaged negatives and set them aside for last. Your slides will often come in slide pages or even carousels so it is often wise to label these and create a system of organization that will make scanning and conversion a lot easier and more systematic. There are no straightforward rules in image organization but you may want to start with appropriate naming of your images. Creating separate folders for each image carousel or page can help. Going by subject matter as well as dates or periods can also help. It is generally up to you, depending on what you have as slides, to create a system of organization. Dust and dirt will be amplified when you begin scanning so a quick cleaning is very beneficial. You can try removing dust with some compressed are or gently wipe you negatives with a lint-free cloth. For more detailed tips on cleaning see below. Once you begin scanning negatives, try and organize your saved files in some way to make them easier to find later. This will take extra time but will help you enjoy your images more later. You may already have scanned boxes upon boxes of black and white slides. The thing now is where are you going to store it? Once you have spent the time to digitize all your negatives, you don’t want to take the risk of losing your work. In addition to saving your files on your computer, back up everything to either an external hard drive or onto DVDs. Technically, for many the choice is a physical storage media preferably the hard disk of your computer or laptop. Unfortunately, if your computer breaks down and your hard disk gets corrupted, you might lose everything. Some would have backups in a separate external storage media. The problem with physical storage solutions is that they can degrade over time or they will simply be lost or damaged. A better alternative is to store them on Cloud storage solutions so you can access them anywhere you are and anytime you want to. Just make sure that the Cloud storage provider has excellent security features otherwise you might also lose your precious images. The best solution therefore is to have a physical storage of your digitally-converted black and white slides then backed up both physically and in the Cloud. For those whose negatives are quite dirty, here is more information on cleaning. The very first step to converting old black and white negatives is cleaning them and preparing them for scanning. For best results, especially if you don’t know how to handle very delicate vintage negatives, the services of a professional film and slide cleaning and restoration may be needed. 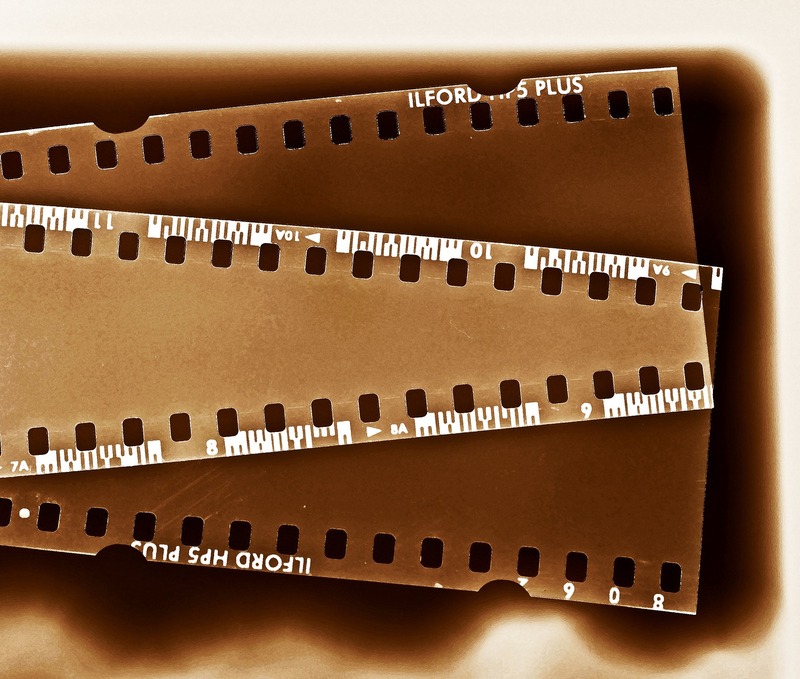 Nevertheless, you can follow these very simple tips to clean old negatives on your own. It is often advisable to check if the dirt or debris on your black and white negative is discernible or not. 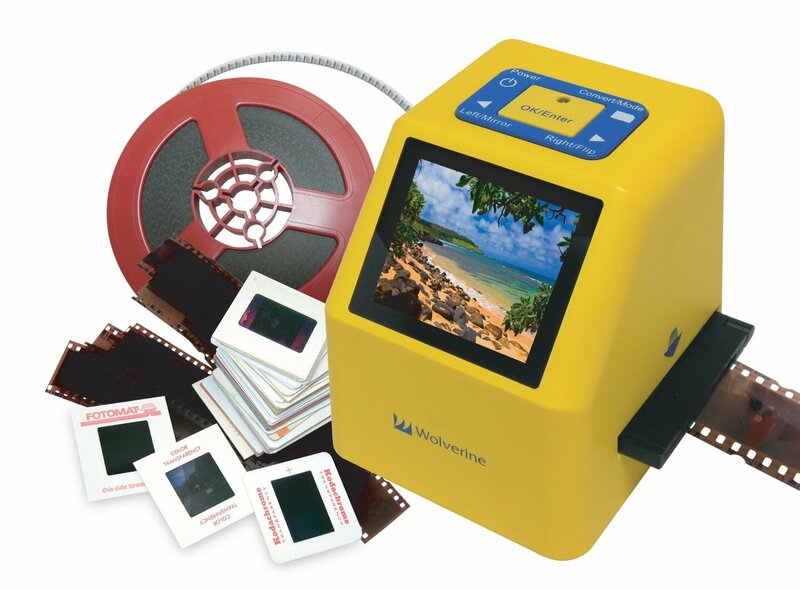 Some experts would recommend scanning your negatives with a slide scanner that has an infrared cleaning technology or the Image Correction and Enhancement or ICE technology (like the V600) to detect and identify any possible defect on your slides produced by dust or even scratches. Understand however, that this will only work on chromogenic black and white slides or films. If you have a black and white film made of silver halide, then infrared cleaning will be useless. To clean your black and white negatives, you can either use compressed air to blow dirt and dust off the surface of your negative. However, care should be taken to make sure that you use the correct amount of pressure; otherwise you might damage the negative itself. You can use a microfiber cloth to gently wipe off any surface dirt or contaminant off your slide. It is important to inspect the microfiber cloth first for the presence of any abrasive material that might scratch the surface of your black and white slide. You can also use an anti-static, film cleaning cloth that works pretty much like the microfiber cloth. However, these cleaning cloth have been designed primarily to clean films so these should work equally well with slides. If the dirt is quite stubborn and you are seriously thinking of using a liquid-based cleaner, use only Photographic Emulsion Cleaner. This has been proven to be particularly effective in restoring the quality of both color and black and white vintage films, negatives, and prints. Never ever use water or any water-based solution to clean your black and white slide. Once you have cleaned your negatives, you can begin scanning. This is pretty much a trial-and-error activity. Depending on your scanner, you may have to perform several scans of the same slide, each time changing some of the scanner software settings until you get the desired digital image. Here, you will need to have a solid understanding of optical resolutions and how these can translate to the size and quality of your images. Taking care of your vintage black and white negatives and slides can be tedious but nevertheless a worthwhile project. This is especially true if your slides hold fond memories.